Earth Overshoot Day is a campaign marking the date in the year when humanity has used more of earth’s natural resources than the planet can renew annually. This year Earth’s Overshoot was on August 1st. This means we’re using earth's resources 1.7 times faster than the planet produces them. This date is getting earlier and earlier each year. At this rate, we’ll need two planet earths to keep up with our consumption by 2030. In short, humanity's ecological footprint is big and is getting bigger. Earth Overshoot Day are asking for people across the world to #movethedate. At Bulb, we think it’s important to help our members understand the environmental impact of their home energy usage. By simply switching to a renewable energy supplier, you can contribute to reducing carbon emissions and increase demand for renewables in the future. Win-win. We’ve updated the fuel mix page on our website so you can see how much carbon you could save by switching. And how much sun, wind and water we use to fuel your homes. Switching to an electric vehicle is also one of the best things you can do. Also consider when you are using appliances, even if you are on a single rate. Unless Bulb guarantees it's putting renewable energy on the grid at the same time you use it then you can be contributing to having to use coal plants or increase gas power plant output. Hi both, these are really interesting points. Reducing energy usage when you can (cycling is a perfect example) is really helpful and has no downsides. The debate on electric cars is good to have and one that we are watching closely. In any case, running them on green electricity will help swing the balance in their favour. Smarter grid management will help to ensure demand matches availability of renewable sources, and this is also something that we are keen to develop. This is something I see the Daily Mail peddling a lot, without any real stats or they completely miss the impacts of extracting and refining oil. Batteries can be almost completely recycled in the long run. Also note, that in that manufacturing phase the higher output for EVs comes from the energy consumed for battery production. If you was to create those battery cells with a factory powered on renewables (such as the Tesla Gigafactory) then it probably would be quite low. 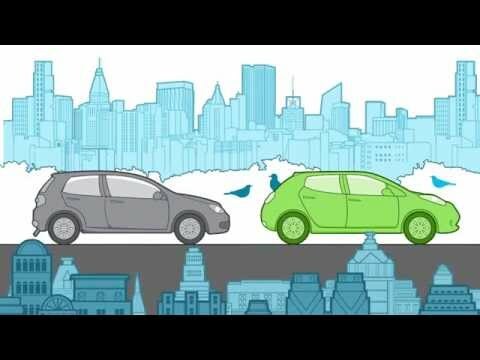 .Electric cars aren't that ecological. The carbon footprint of a tesla over its lifetime is about as polluting as a 2 litre petrol car. I agree, the same applies to solar panels and wind farms. The media and governments always talk about the efficiencies of the finished product and ignore the pollution and health issues caused from production. That's not really true, and most of the CO2 emissions from manufacturing solar panels comes from energy use. So the cleaner the power source gets, the cleaner the end products life cycle emissions are.
" As people worldwide increasingly feel the heat of climate change, many are applauding the skyrocketing growth of China’s fledgling solar-cell industry. Solar power and other “green” technologies, by providing electricity from renewable energy sources like the sun and wind, create hope for a world free of coal-burning pollution and natural resource depletion. A recent Washington Post article, however, has revealed that China’s booming solar industry is not as green as one might expect. Many of the solar panels that now adorn European and American rooftops have left behind a legacy of toxic pollution in Chinese villages and farmlands. The Post article describes how Luoyang Zhonggui, a major Chinese polysilicon manufacturer, is dumping toxic factory waste directly on to the lands of neighboring villages, killing crops and poisoning residents. Other polysilicon factories in the country have similar problems, either because they have not installed effective pollution control equipment or they are not operating these systems to full capacity. Polysilicon is a key component of the sunlight-capturing wafers used in solar photovoltaic (PV) cells. " Okay, but that's not an inherent problem with solar. You don't have to dump chemicals in the river. You can argue the same thing against oil... Deepwater Horizon springs to mind. The thing that people always seem to miss when talking about overshoot day, is that what we use for energy generation makes little difference. The biggest issue is the number of products being created. Be it a new car, solar panels, a new thermostat, a new phone: if you don't need them, don't buy them. If you do need to buy something, spend wisely and buy something that will last. Ideally also buy refurbished/second hand. Yes, aluminium may use more energy to produce than something made of recycled plastic, but if the aluminium product lasts you 10 years and the plastic one lasts you 6 months, which is better? Try and reduce your household waste in general. If you're throwing away more than a bin bag every couple of weeks, consider what it is that you're throwing away. Is it food? Is it packaging? Is it broken/old products that you no longer require? Overshoot day has CO2 as a huge factor to it as well. Yes, but residential energy use is small compared to what's used in industrial processes and commercial buildings. @mowcius. Earth Overshoot is trying to do exactly that. Get us thinking about the choices we make about our consumption. I like your suggestion of measuring how much household waste we throw out. One of Earth Overshoot's suggested pledges is to challenge local leaders to help us #movethedate by changing local environmental policy. This might include improving recycling facilities or calling for food waste collection. With increasing urban populations, sustainable cities are hugely important. Residential energy usage might seem small in comparison to industrial processes but it's important to raise awareness about our individual ecological footprint and this should start at home. Collectively, small changes can make a big difference. Just imagine if all the of UK chose a green energy supplier! Yes, but personal transportation has a huge CO2 footprint as well. There is much exaggeration about CO2 as a supposed "pollutant". In fact it is a gas vital for the growth of all plant life, and its very minor presence (0.03-0.04%) in the atmosphere cannot make a big contribution to supposed global warming. Water vapour and aerosol water is much more important! @petelewisr And your credentials and supporting research for this statement are...? I am a researcher and consultant physical chemist, and use FTIR spectroscopy for analysis (for example of the air, where both CO2 and H2O are visible for their atomic absorption spectra). The points I made above are incontrovertible facts, and easily verifiable. @petelewisr, can you provide some research papers that verify your claims? I'd be especially interested to know where you pulled this one from. It has actually been known since the 1800s that H2O is a much more important greenhouse gas than CO2. Wikipedia faces this issue under Green house gas....but of course it is easier to ignore the facts when you have a doctrine to preach rather than take a neutral attitude. The fact that greenhouse gases were of such scientific concern in the 1800s has obviously eluded me. And most people agree that methane worse than CO2, but that's not the point you were making. You stated that the CO2 percentage cannot make a big contribution to global warming. On the H2O point though, do we have much control over the percentage of water vapour that ends up in the atmosphere? It's kind of a moot point if we're not really effecting it and can't do much about it. We don't have much control on CO2 or CH4 either, despite all the propaganda coming from gullible politicians and the IPCC. Most large countries like China, India and the USA are proceeding with coal generation of electricity, adding gas where they can. Why should we sacrifice our economy for green extremists? @petelewisr, again you've provided no evidence for your claims despite popular opinion saying otherwise. China is pushing forward with the largest renewable installations the world has ever seen (mostly solar), partly in an effort to reduce pollution but mostly as it's now the cheapest way to generate electricity; India is very much a country still working through its issues as an industrial economy but despite that are happily chasing China in the renewables race (https://qz.com/india/1323902/indias-investments-in-renewable-energy-are-growing-faster-than-even-chinas/); and the USA is run by a lunatic. If you think those who care about this are green extremists, you're really talking to the wrong people here.